but not like you know it. One of Sydney’s oldest and most sought after places to live, the leafy suburb of Paddington is the inner-city capital of all things fashion, art and hospitality. Paddington’s village feel has attracted artists, designers and fashion addicts for decades. Where heritage meets contemporary, spend a day walking the back streets and laneways to discover all that Paddington has to offer. It has something for everyone. Why not relax in one of the many green spaces or on a rooftop bar soaking up the afternoon sun. There’s numerous galleries, bookstores and theatres all of which are surrounded by popular cafes, pubs and restaurants. 7 minutes to Bondi or 7 minutes to the CBD you couldn’t be closer to the best of both worlds. UKO Paddington is 2 x 3-storey heritage listed, side by side townhouses with studios and public spaces specifically designed for UKO. 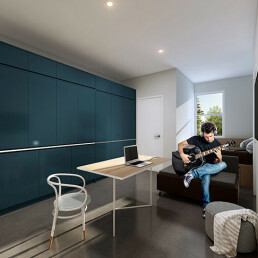 There is a sunny courtyard and generous common areas as is standard with new UKO properties. 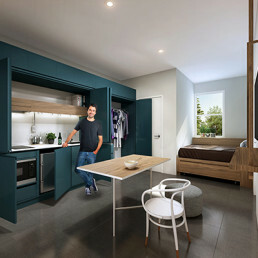 The 26 apartments are all unique in shape and size but will still include the standard UKO essentials which are a kitchenette, couch and desk. We have even managed to put our popular concept UKO bed or Murphy bed and some of the rooms. Whether it’s how to get somewhere, where to eat & drink and anything in between our experienced UKO host Jamie has got you covered. In addition to helping you enjoy the best of Paddington, Jamie is in charge of the daily running of UKO. 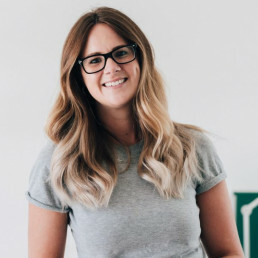 Jamie works across multiple UKO venues so she’s the go to for all things UKO! Make sure to say hi when you visit. We’d love you to get in contact.